After splitting in July 2015, E! 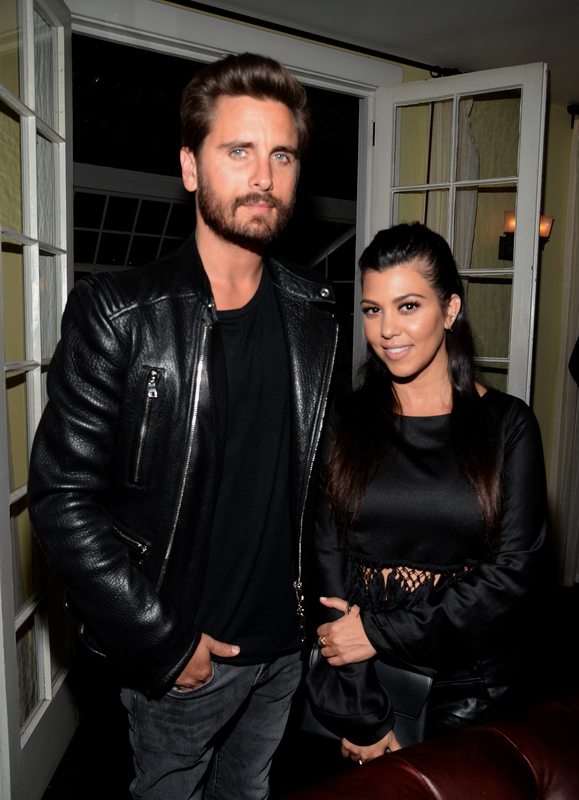 News is reporting that Kourtney Kardashian and Scott Disick are back together. Neither of the two stars from Keeping Up With the Kardashians have commented on the reports themselves, but according to two sources who spoke with E!, they are once again a couple. Kardashian and Disick have seemingly been back together for a few months now, though they reportedly aren't living together. Bustle has reached out to their reps for comment, but did not receive an immediate response. "They are back together and giving their relationship a try again," a source revealed. Apparently, their reunion is thanks to Disick taking a step back from partying. "Scott's mellowed out a lot and hasn't been partying." Another insider also dished to E! that they "both want to make it work for them and their kids," Mason, Penelope, and Reign. Even though their alleged reunion has yet to be confirmed, it's hard not to believe it's true. The signs of Kardashian and Disick's reconciliation have been there for awhile now. In November, they took a family vacation to Cabo San Lucas, Mexico. Based on the photos captured, they sure looked friendly and like they were having fun. That isn't the only trip they embarked on together, either. In April, he went to Vail with Kardashian/Jenner clan. If you recall, they've constantly been spotted together, too. Unlike E! News' recent report, People reported in November that the duo is living together and Kardashian "seems very happy." A source also told the outlet that Kardashian even wants another baby and that she "definitely wants four kids." At the time of People's report, Bustle reached out to their reps for comment, but has yet to receive a response. Even though all of these are just rumors, KUWTK official Twitter account also tweeted Friday, "It's true, dolls! Kourtney Kardashian and Scott Disick are back together." Again, it's still unconfirmed, but it's a good sign that the reality show is tweeting about it, right? Seeing as Disick is the father of Kardashian's children, it makes sense that they've remained friendly and close. During a January appearance on The Ellen DeGeneres Show, Kardashian said, "Well, we're not together. I feel like every day is different, but we're totally getting along. Like, we have three beautiful kids together... But, you know, he's family. He'll always be." Then in April, she opened up to the Today show about their future. "We're not getting back together right now, but I don't know what the future holds in life, in God's plan. But we're just doing our best to be the best parents. Like, he came with us to Vail and it was great. But, like, we're friends at this point." Based on that quote, it sure sounds like Kardashian has been keeping an open mind about possibly getting back together with Disick. How can fans of the couple ignore all of these signs? Once you root for a celebrity couple, you always root for them.